The University of Exeter traces its origins to schools and colleges established in the 19th century by educational philanthropists and reformers. In 1955 the University of Exeter was established by Royal Charter. 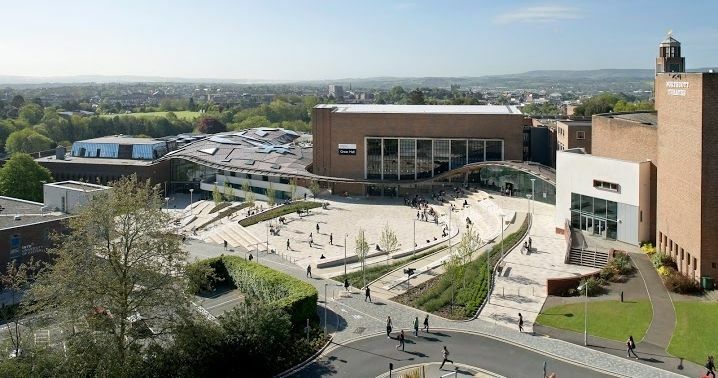 The University of Exeter is ranked 7th out of 116 Universities in the UK (Sunday Times 2013) and was voted the Sunday Times University of the Year 2012/2013. It is one of the leading research-orientated universities in the UK. friendly and safe learning environment for students from over 130 different countries. The University of Exeter is renowned for its high quality of teaching and excellent training facilities. Courses are offered at three levels – undergraduate, postgraduate and research and are supported by a range of scholarships by application.Flexible Combined honours degree courses are also offered, which allow students to study two subjects at the same time with a degree of flexibility as to the modular components. Exeter has an excellent research foundation, with world-class research in all of the 31 subject areas in the University. In the last two years we have invested strategically in order to build further our capacity and reputation, with huge forward steps resulting in outstanding climate change, extrasolar planets, functional materials, systems biology, and translational medicine research. We are leaders in cutting-edge science, engineering, mathematics, and medicine research, as well as having a world-class reputation in the humanities and social sciences built up over many years. Exeter is a wonderful place to live and study with a variety of options for entertainment. The city centre of Exeter is a cultural hub for the South West of England, and is around twenty minutes walk from Streatham campus. As well as the shopping, cultural and historical attractions of the city, there are many cafes, restaurants, bars and clubs.